The view south east from the forestry tracks in the woods on the slopes of Seat How, part of Whinlatter Forest. 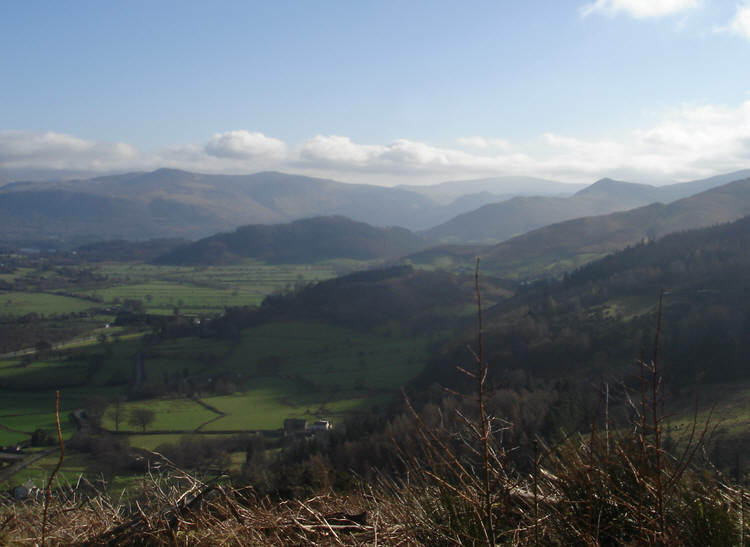 The dark wooded hill in the middle of the picture is Swinside, with Cat Bells to its right and High Seat behind it. Derwent Water is just hidden behind Swinside.